Here is a simple chart called Reading. This is 164×277 stitches and it contains 64 colors.The sun is going through the window of this amazing chart. 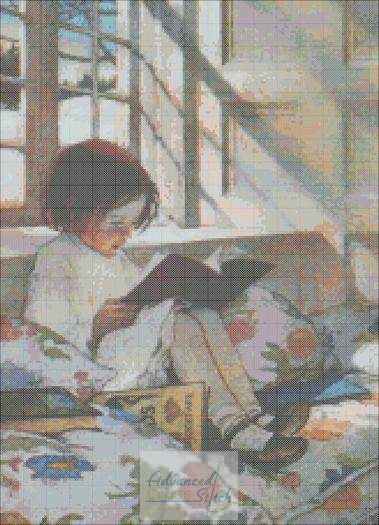 You’ll love stitching the innocent child as she drifts off into the world of a book. 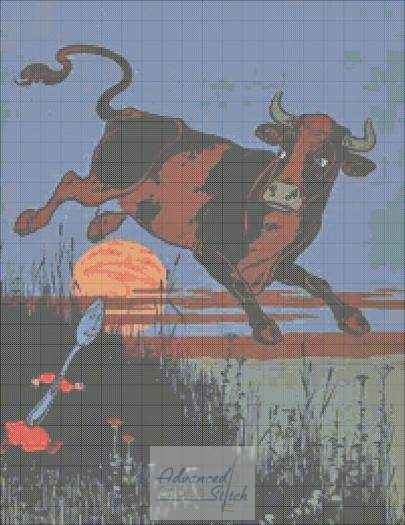 The cow that jumped over the moon. 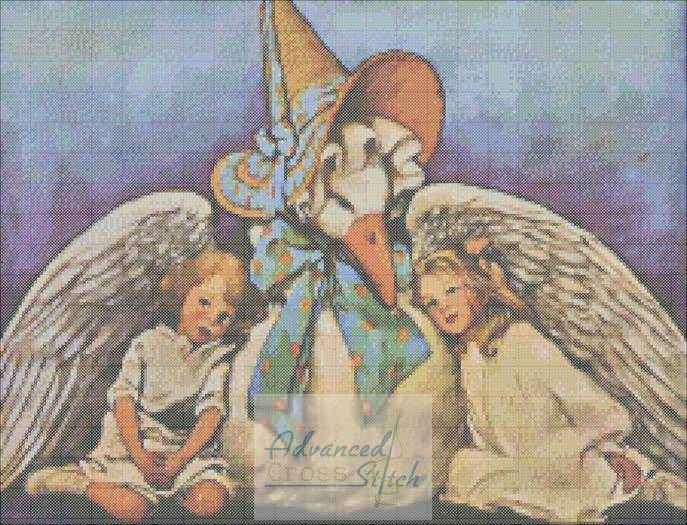 We all know the nursery rhyme… here is an original image from the book as a cross stitch. This chart is 200×259 stitches and 74 colors.